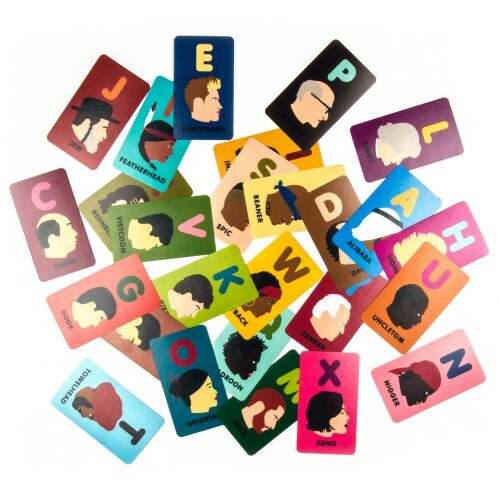 Limited edition illustrated cards of the alphabet depicting racial slurs and images: the easier way to teach your kids. Created by Winston Tseng for the Agents Provocateurs exhibition at the Subliminal Projects art gallery in Los Angeles during January 2015. Known to the masses for his former art director job at Enjoi Skateboards, Winston is a graphic artist based in New York City. Born and raised in Redondo Beach, California, skateboarding consumed his life then and completely shaped his artistic style now. His work has been described as simple, clean, bold, and depending on the project, even “humorous and slightly twisted” (Concrete Magazine Issue #106 May 2010). 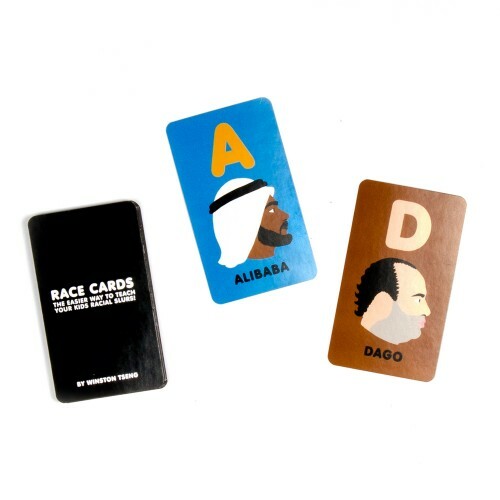 He also works on a project-based creative outlet for himself and selected artists called WINS and has an ongoing collaboration with those lazy italians for a limited series of products out on Fall 2015.